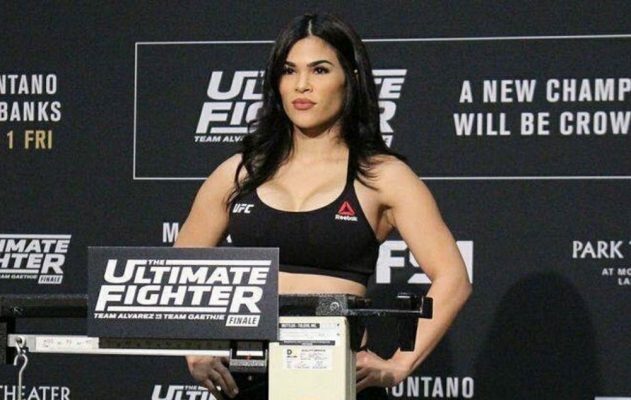 UFC women's flyweight Rachael Ostovich was hospitalized and later released following an attack that took place over the weekend in Hawaii. UFC women’s flyweight Rachael Ostovich was hospitalized and later released following an attack that took place over the weekend in Hawaii. Sources close to the fighter confirmed Ostovich had been released from the hospital after suffering injuries from the attack. Ostovich reportedly suffered a broken orbital bone as a result of the attack. TMZ first reported the news on Sunday. While no arrests have been made, Honolulu Police are reportedly investigating a felony domestic violence incident in the matter. Ostovich was scheduled to face Paige VanZant in her next that was set to take place on Jan. 19 in Brooklyn as part of the first ever UFC card on ESPN. The status of that fight is now in question but UFC officials have made no announcement regarding the bout. Ostivich came to the UFC by way of ‘The Ultimate Fighter’ during the season that helped to determine the first ever women’s flyweight champion. Since that time, Ostovich has gone 1-1 in her UFC career. “The Honolulu Police Department has opened a second-degree assault investigation for an incident involving a 27-year-old female victim and a 27-year-old male suspect. The victim and suspect were arguing prior to the assault. The victim suffered head injuries and was treated at a hospital.